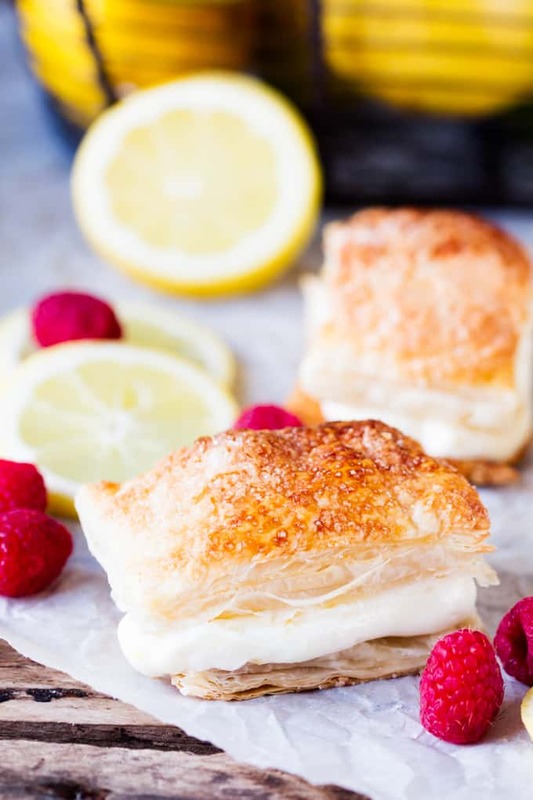 These Zesty Lemon Cream Cheese Puffs have sweetened flaky puff pastry, with a deliciously zesty cream cheese filling. One is not enough. Why does pastry have to be so darn tasty! I don’t think I’ve ever eaten anything wrapped in pastry that didn’t taste good. I just stopped, sat there and thought about that really hard for a couple of minutes, and no, there’s nothing. Hail to the pastry. 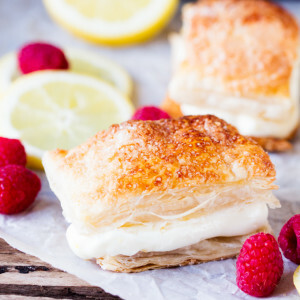 These lemon puffs are no exception. 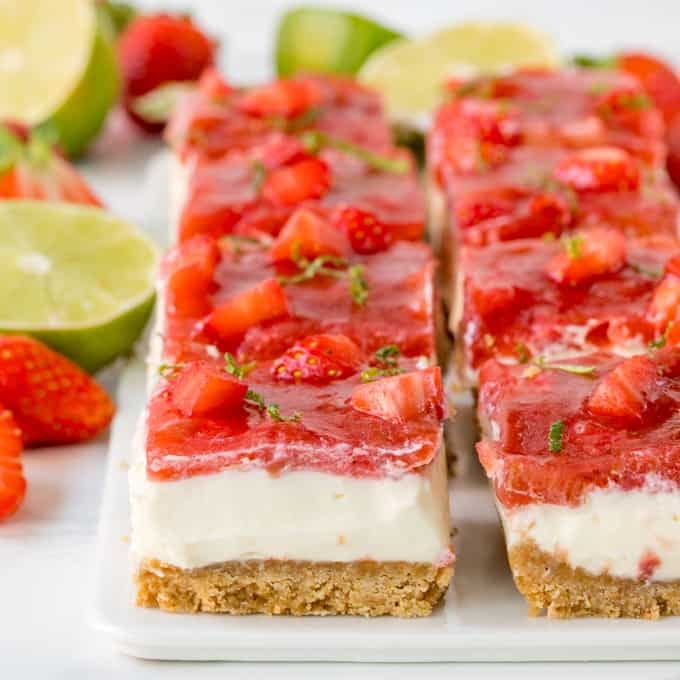 A flat bottom layer of crunchy sweet pastry, topped with zesty cheesecake flavours, and then finished off with a big, flaky, puffy top layer of more golden, sweetened pastry. In theory, these should be eaten from the fridge, to allow the lemon cream cheese to firm up, but it’s so much more fun to bite into one of these things as the cream cheese squirts out of the sides. Thus requiring a serious lick-the-sides-of-the-pastry-as-well-as-your-hands type of operation. I wanted to call them lemon cream cheese squares, but unfortunately as you can see from the pictures below, I’m completely incapable of cutting anything neatly into a square without a ruler. I decided to wing it, and so my pastry puffs now come in childrens, adults, and really-hungry-adults sizes. Personally I think it adds character. That’s what I say when I cut bread into a fresh loaf of bread too. You can guarantee that the top of the piece of bread is going to look like a doorstop, whilst the bottom is as thin a tracing paper. 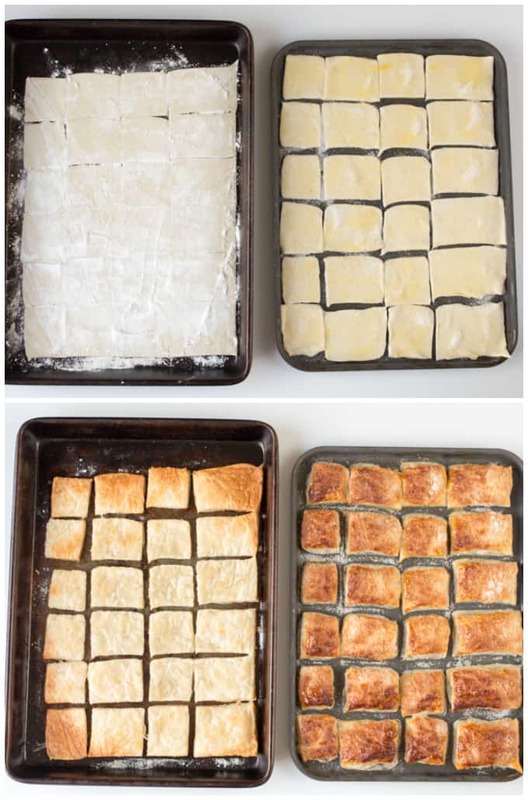 So, if you need neat squares in your life, please use a ruler to help you cut the pastry. I’m making this post short today, as I’m hopping on a train to London in an hour to go to my first blogging conference! I’m excited and nervous at the prospect of meeting so many other bloggers. Although I’ve chatted to a few bloggers in the UK, I’ve never actually met a real-life one! I made these with gluten free puff pastry, which doesn’t rise as much as normal puff pastry, but they were such a yummy treat for a coeliac. 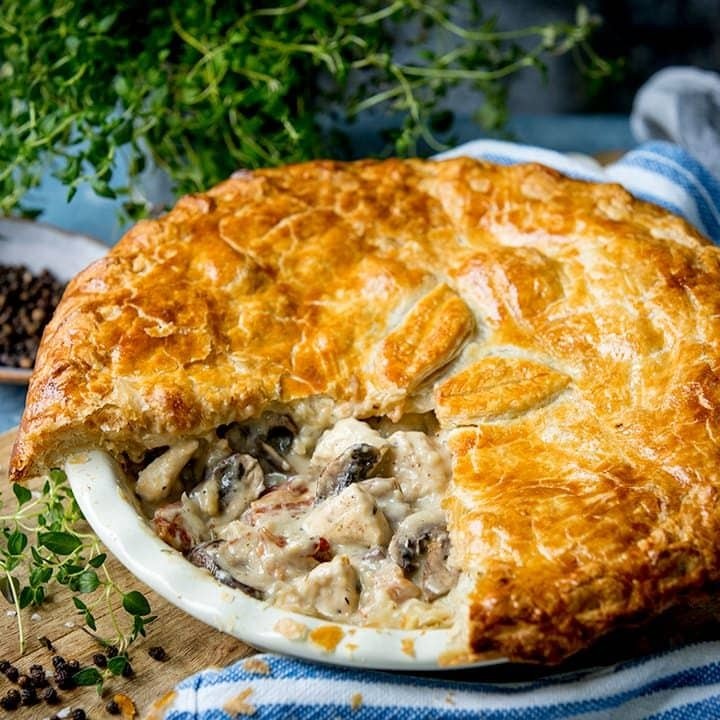 I work for a foodtech company called Chicory and we would love to have talented cooks like you as our recipe partner, are you interested? Yum! 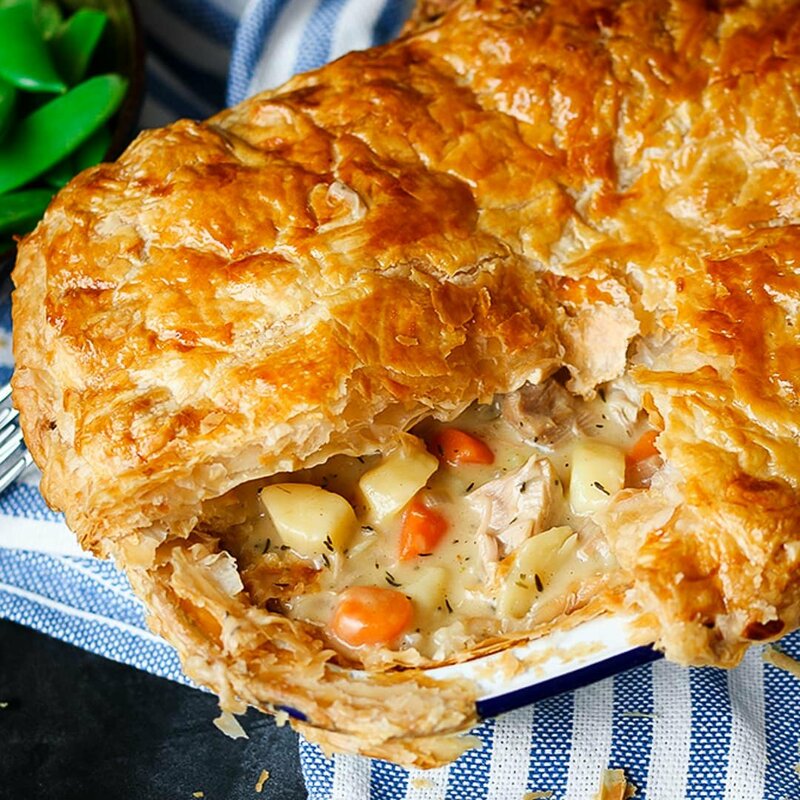 You are totally right – pastry makes everything taste awesome! 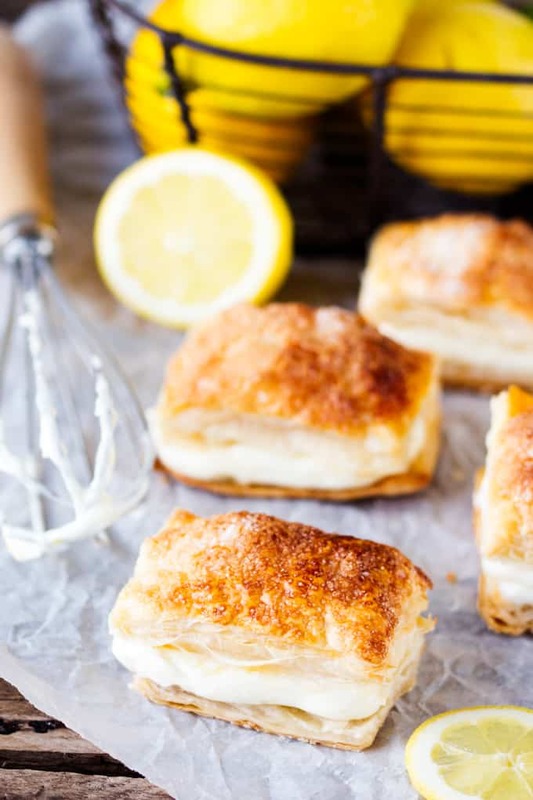 These zesty lemon puffs look amazing – and I love the sizing options 🙂 My Mum just labels anything that isn’t ‘perfect’ as ‘rustic’ and it instantly makes everything better 🙂 Enjoy your first blogging conference!